Jeff Holt, CFA, is director of multiasset and alternative strategies for Morningstar. 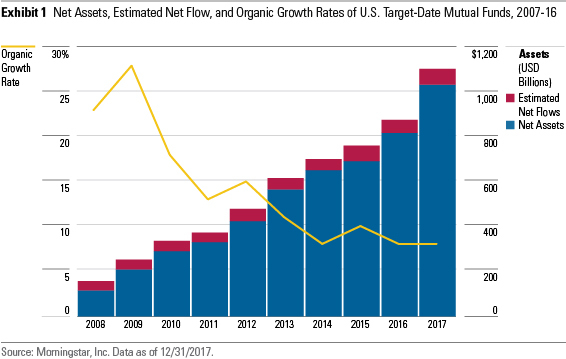 Target-date funds hit a momentous mark in 2017 by eclipsing $1 trillion in assets.The funds' unimpeded growth means target-date funds play an increasingly important role in retirement success for more and more investors. Morningstar's recently released annual report covers recent developments in the competitive landscape. Here's a summary of target-date fund landscape in just five charts.